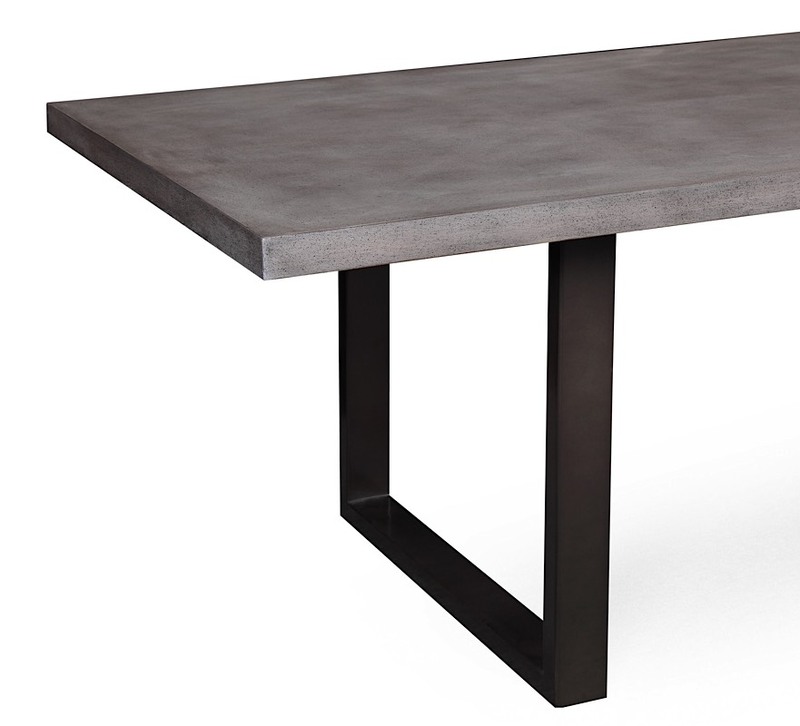 Dine in minimalist style with the one of a kind Elise Concrete Dining Table. 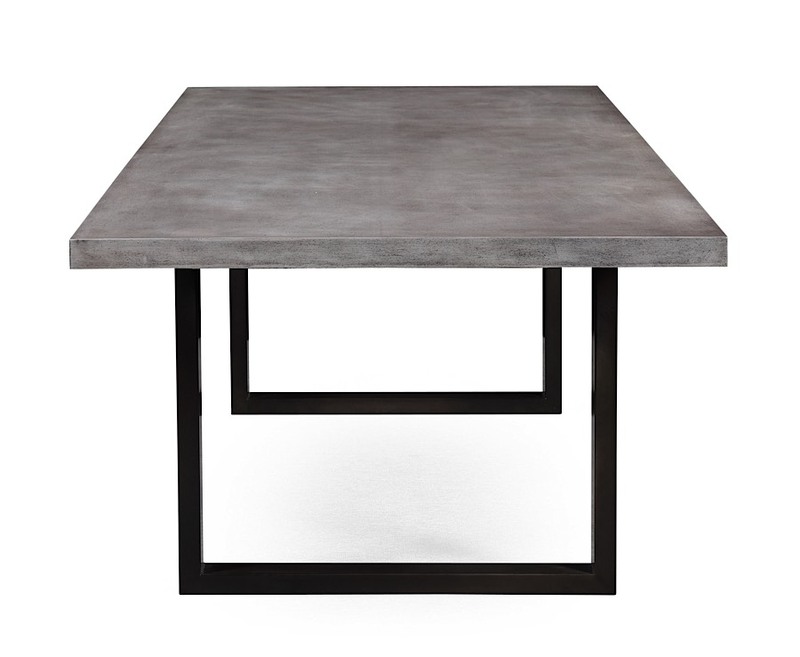 The durable top is hand rubbed to give it an individual sealed concrete look that combines edgy with clean classic lines to produce naturally beautiful results that will blend perfectly with any decor. 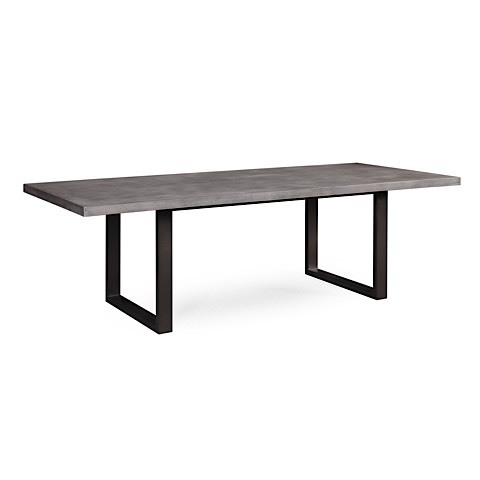 This table features black steel legs for exceptional stability and support and can easily accommodate 6 to 8 people. 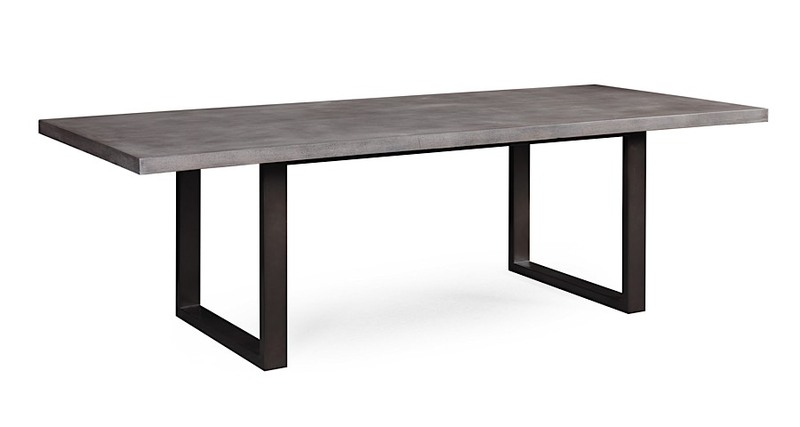 Elise is handmade by skilled furniture craftsman featuring a top made from MDF with a sealed concrete finish. The top is polished and protected with a clear, water based paint to protect the surface. 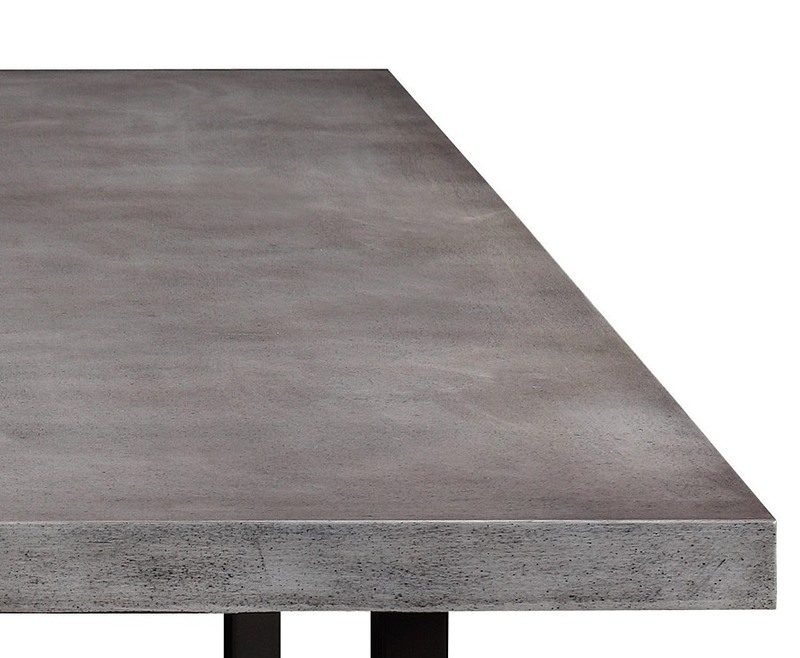 Natural variations in the color of the concrete from table to table are to be expected; no two are exactly alike. Top coat and table surface may exhibit spotting, cracks, and scratches due to use. For normal daily care, wipe with a clean, dry cloth. Wipe spills up immediately with a dry cloth. Indoor use only.